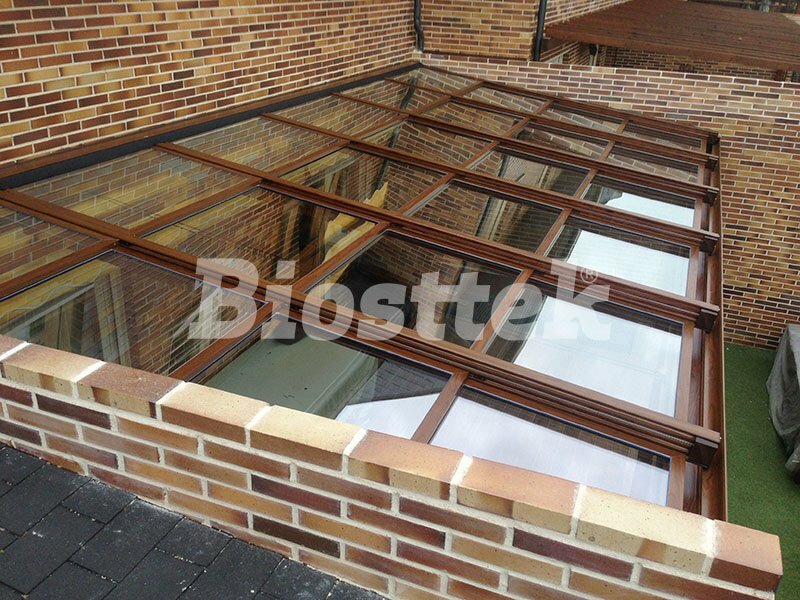 Biosttek sliding roofs are the highest-end among the options we offer. 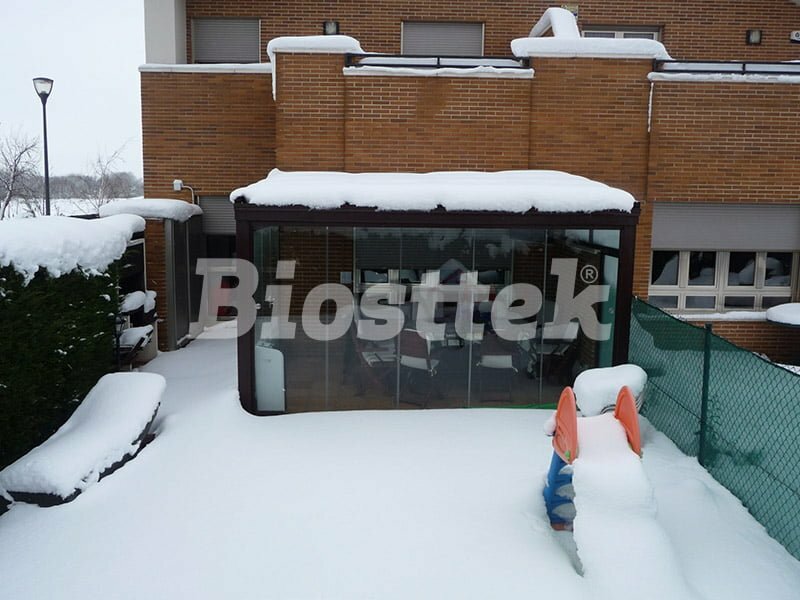 In addition, they are the option with more durability and resistance of the market. 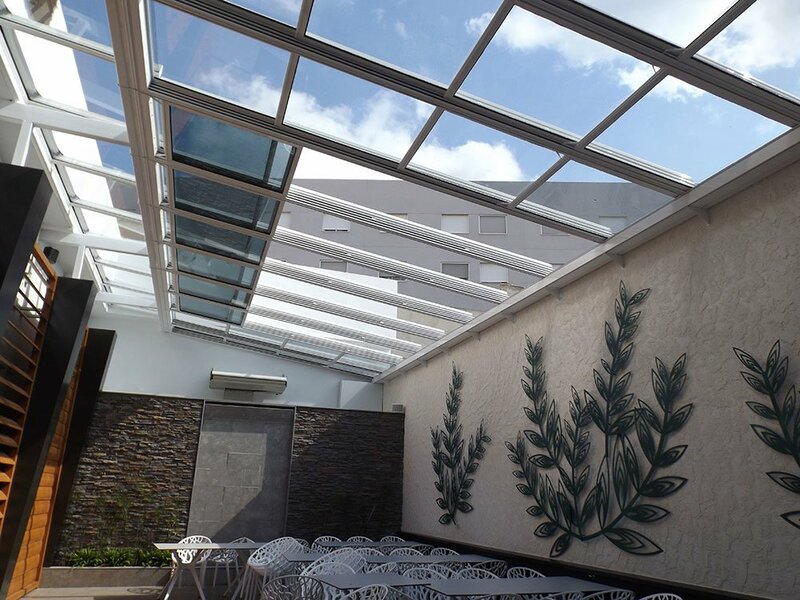 The highest range and the option with more durability and resistance of the market. 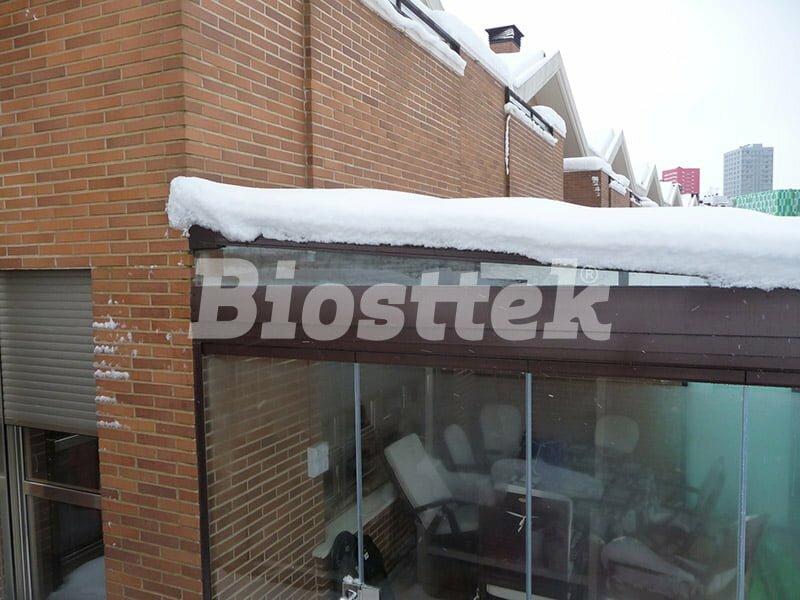 BIOSTTEK is the leading manufacturer of mobile roofs. 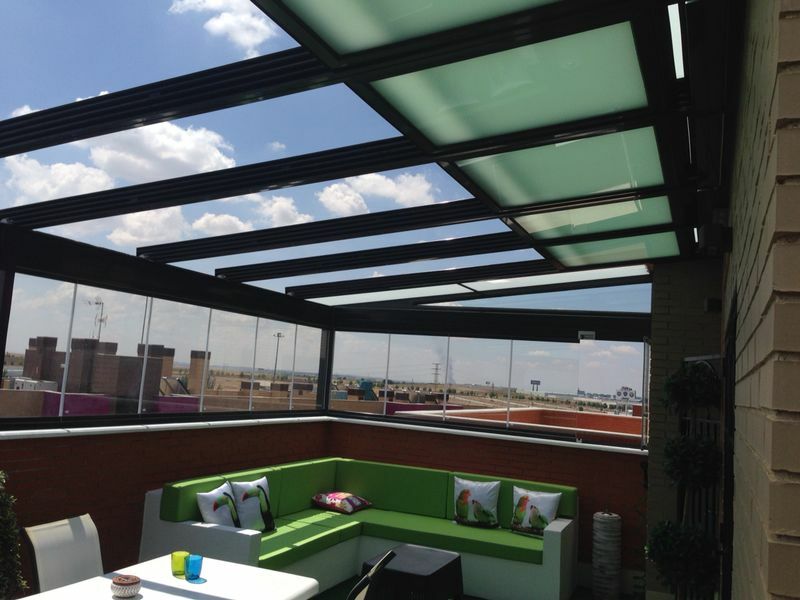 The glass mobile roofs are the highest range among the options we offer. And the option with more durability and resistance of the market. 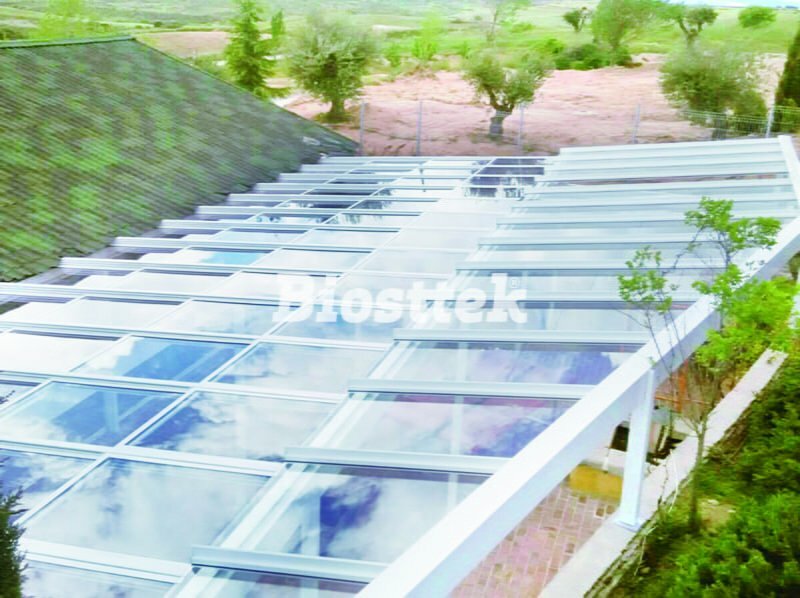 The mobile roofs of BIOSTTEK have the advantage that they are highly customizable, adapting to the needs of each client. You can choose the measurements, materials, colors and the type of drive (manual or motorized). 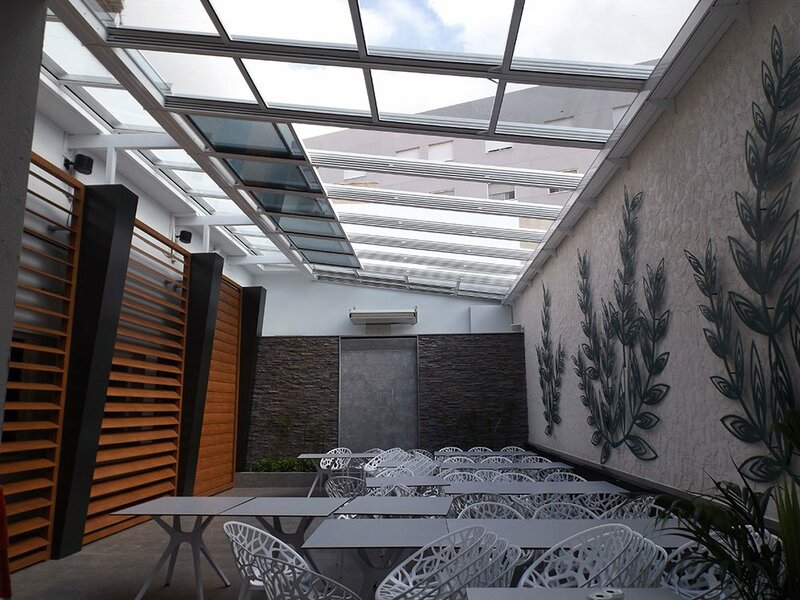 We want to give you the best options so that you can enjoy your space without depending on weather changes. 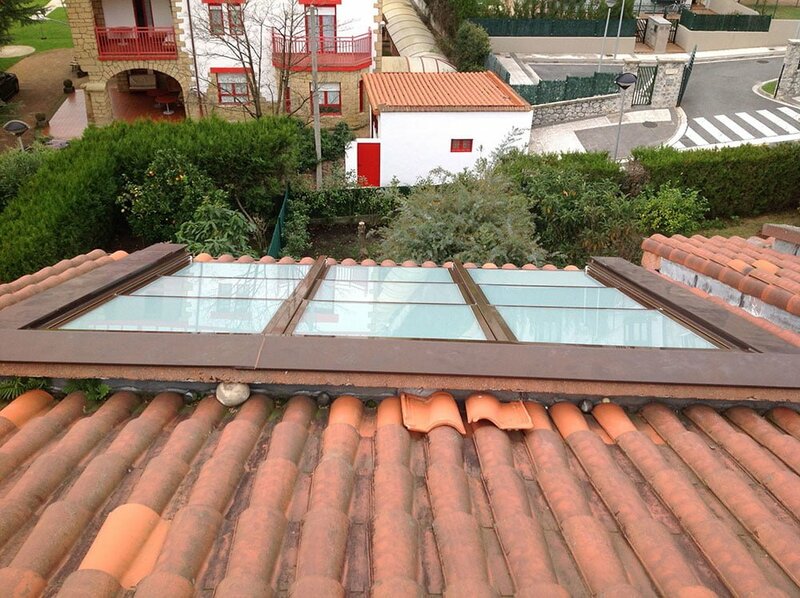 Glass roofs are the most recommended option for their high strength and durability over time. 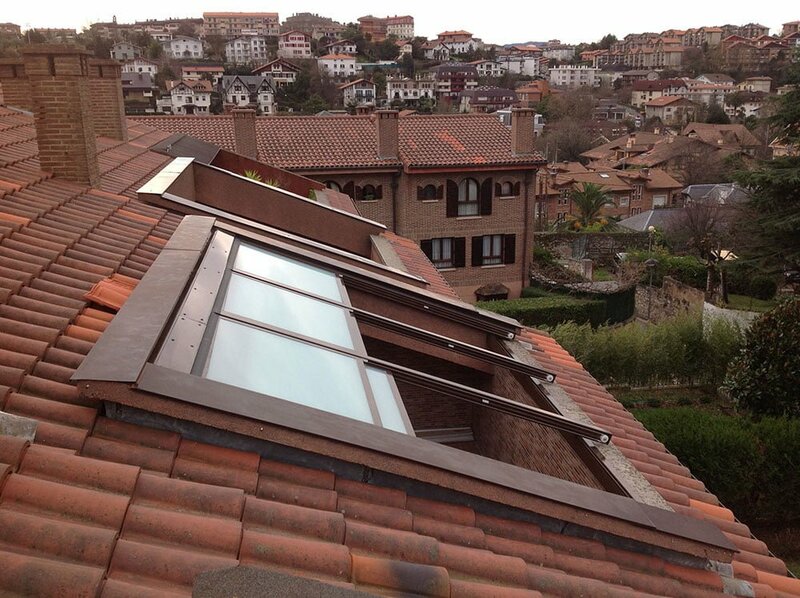 You will revalue your home creating a special, unique and adaptable space, especially mobile roofs that you can adapt at any time depending on the weather or your preferences. Get in touch with us, we will be happy to help you. Glass plate up to a thickness of 16mm. Horizontal and vertical needle bearing which prevents incorrect rotation of the plate as well as vibration and friction. 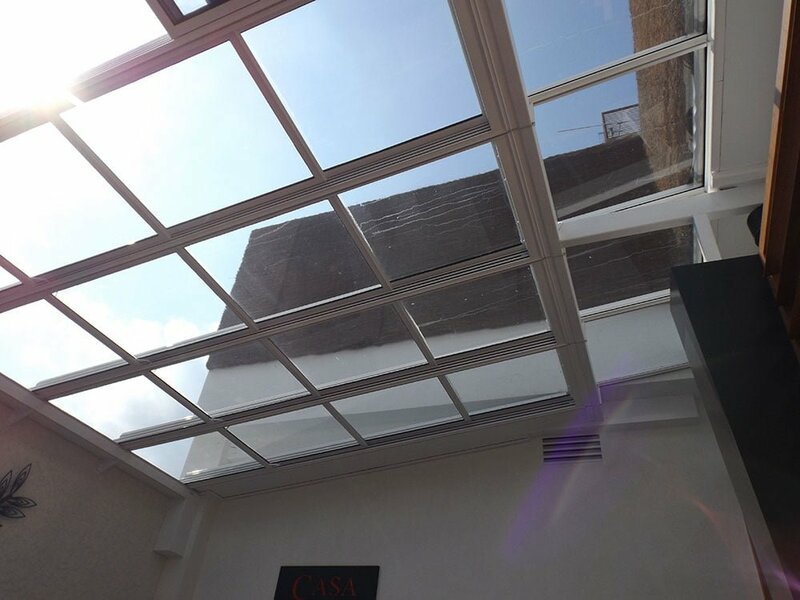 Just fill in the contact form on the right side of this page and ask us for a quote or any other information about the mobile glass roof that you would like to put in your home. 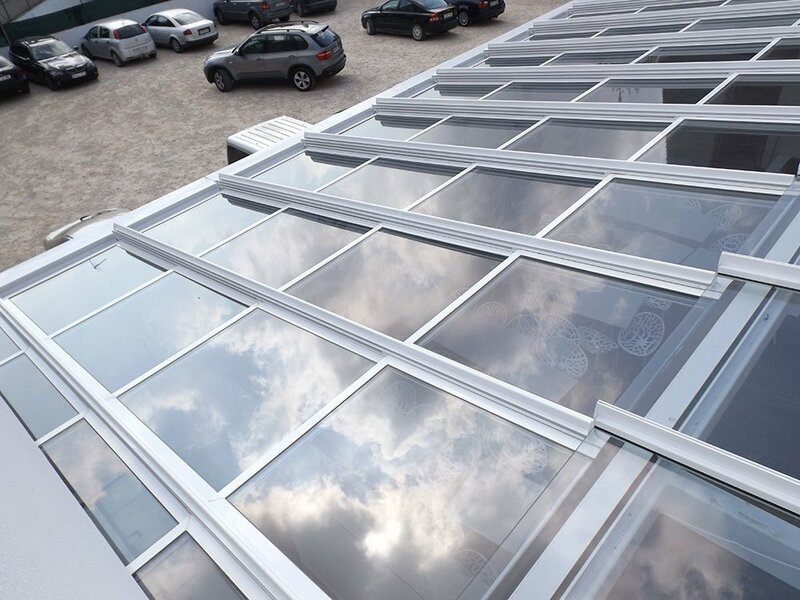 If you prefer you can call us at +34 96 244 80 93. We will be happy to help you. Our experience at your service We provide service to all of Spain.